Whether you are a student, a freelancer or simply working from home, it is important to create a home office that motivates you, and boosts your productivity. 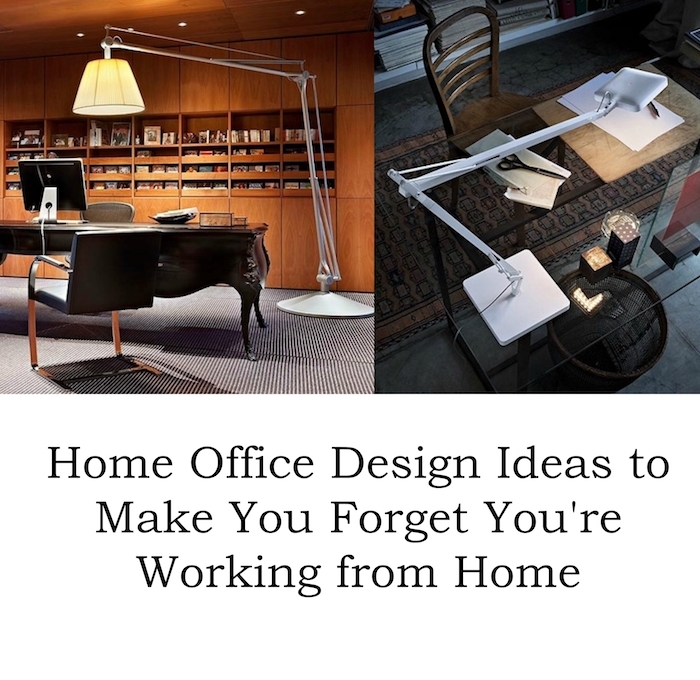 There are many simple ways you can improve your home office to maximise your efficiency. The chair is an important feature in your home office. It will either make or break your performance in your office space, as spending long hours on a non-adjustable chair can be extremely unpleasant and uncomfortable. This may lead to back and joint pain from a poor sitting position. No expense should be spared, nor should any compromise be made in the design of the chair. There are wide ranges of products in different sizes and styles that should meet your needs. 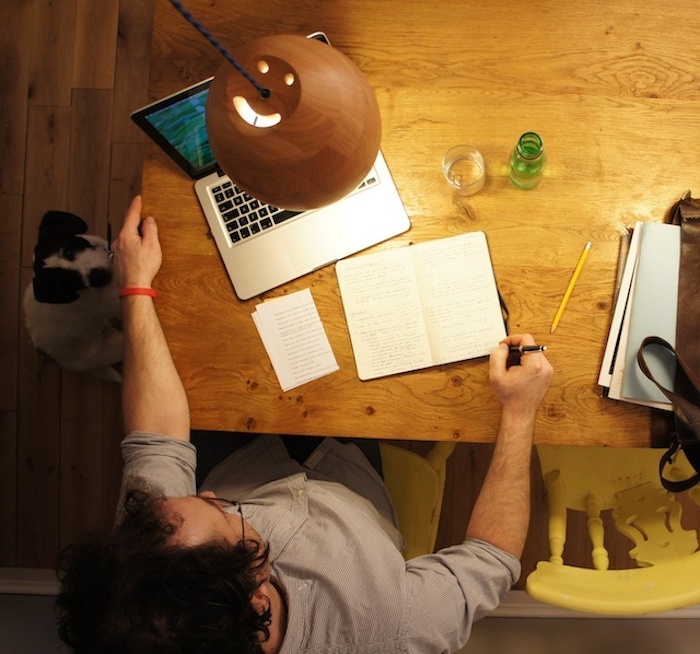 Not everyone has a spare room available to transform into a home office. However, there are many creative solutions out there for smaller office areas. Modoola for example, offers ‘Smart Desks’. These are hexagonal shaped desks that are easily mounted and dismounted for extra mobility, allowing it to be placed in any room or corner. As a result, you don’t have to use a large area and have the option to move your office as you please. 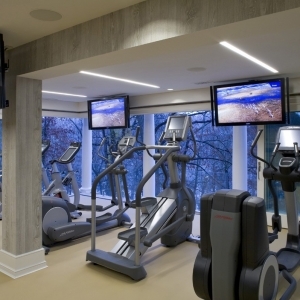 Another important feature in your office is to have the right lighting. 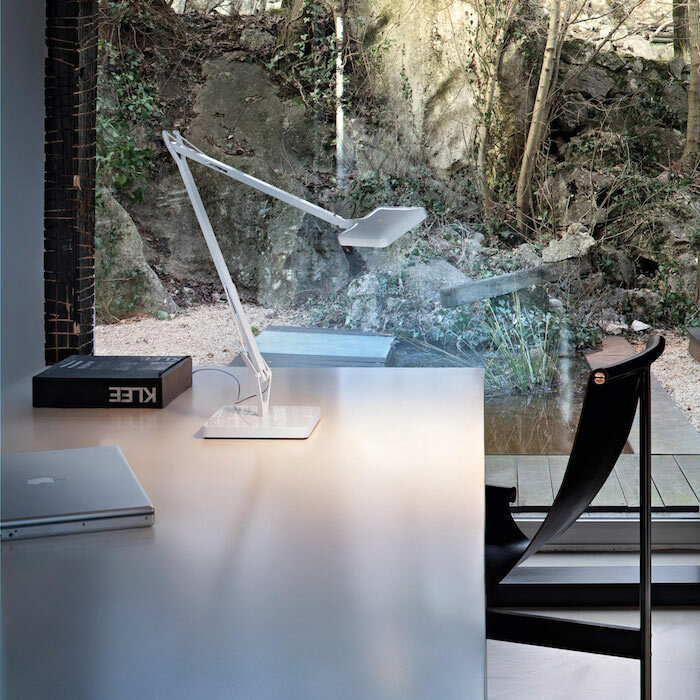 To maximise natural lighting, desks should be placed near a window, ideally with the workspace facing the light. This will help to reduce eyestrain caused by poor lighting or artificial lights and will allow greater concentration as a result. 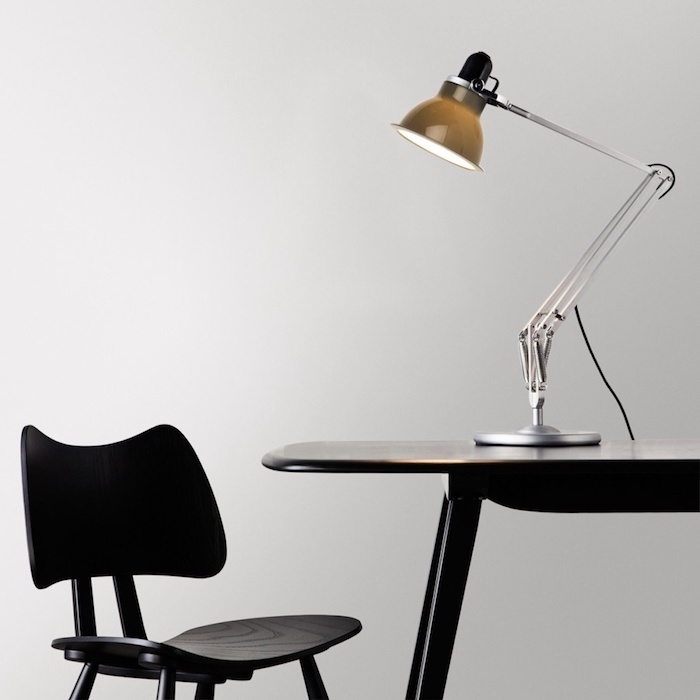 If you tend to work late, you might want to look into investing in a quality desk lamp. 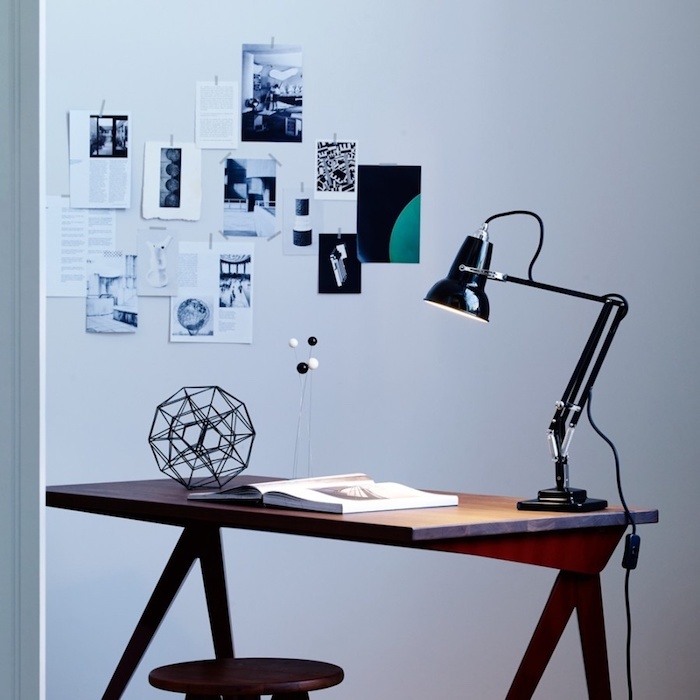 A good lamp will not only illuminate your space, but the design also brings a dull and bland space to life. 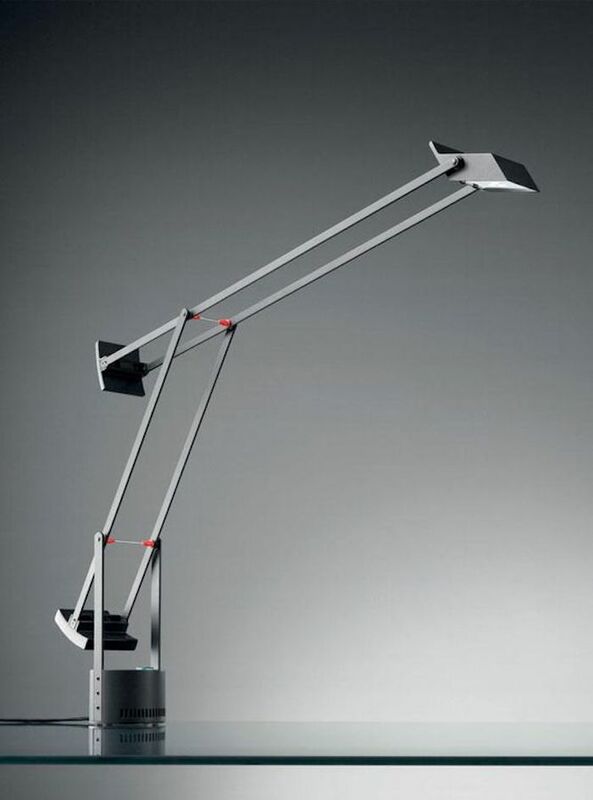 One brand I’ve been particularly impressed with is are the lamps from Artemide. You can find these products at Lampcommerce, an Online-shop for luxury lamps at reasonable prices. It is important to organise your workspace and to keep it clean. This will ensure maximised productivity and it will help you to maintain a positive mind-set. An untidy workplace can easily lead to distractions and interruptions when working. Investing in cabinets or other practical storage solutions will help you to keep on top of your organisation and work. 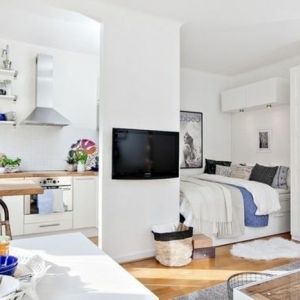 To save money you can buy cheap storage units and redecorate them through painting, wallpaper or fabric in order to compliment your taste and style. Another way to make sure your home office will help you be productive is by using appropriate colours. 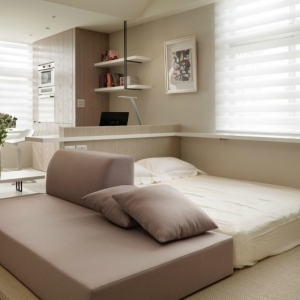 Colours like muted grey shades, pale yellow tones or a coffee-brown keep you focused and relaxed. Light blue tones and red wine-red should be avoided, as this can affect concentration. Bare in mind this is not only your office but also your home. The aesthetic is just as important as the functionality. Personalising your home office will help to create a motivating workspace that will help you be productive and you love to spend time in. Only when you feel comfortable in your home office, will you be able to maximise your productivity.